Godzilla vs Megaguirus (2000) – SKREEONK! Throwback to Showa Goodness? Or just another flop? 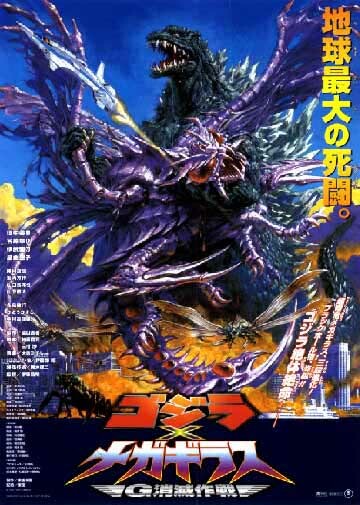 One of the more bizarre yet lackluster films of the Shinsei era, Godzilla vs Megaguirus was originally released as Godzilla X Megaguirus: The G Elimination Project War (ゴジラ×メガギラス G消滅作戦 Gojira tai Megagirasu Jī Shōmetsu Sakusen). I was pleased that Toho was continuing to explore new monsters with this film. 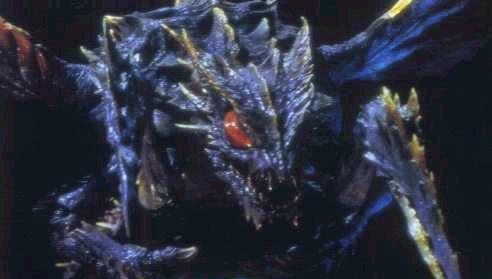 In fact, I really liked Megaguirus’ origins. I also like that they tried for a slightly scarier experience, particularly the alley scene. This movie is almost in some ways a throwback to the Showa era’s silliness at times. Perhaps it’s the mix of various elements and themes that turns some viewers off, but I have to say the movie is still fun. And yet, I rate the film only 6/10. Outside of the monster action, much of the rest of the movie is fairly dull, as is the female lead. I also find the Dimension Tide piece of the plot almost too silly. A man-made miniature black hole fired at Godzilla from a satellite in space? Oh come on! That’s gotta be more outlandish than aliens. The special effects were only okay, but with three notable bad points. The SGS (vehicle) looks like a small toy, the Meganula on Godzilla’s hide looked iffy, and when Megaguirus first appears, the wires are visible. Some of these is another element that reminds me a bit of Showa era Toho movies but probably isn’t one of the characteristics Toho wanted us to remember. This was the second installment of Godzilla’s Millennium series, and after watching these two you might not be inspired to watch the next four movies unless you’re a major Japanese monster movie or Godzilla fan, which I am. But rest assured, the rest of the series picks up (even Final Wars). As a final word, if you don’t really care how loony some of the plot is, then you’ll probably enjoy this movie more than a 6/10, no problem. 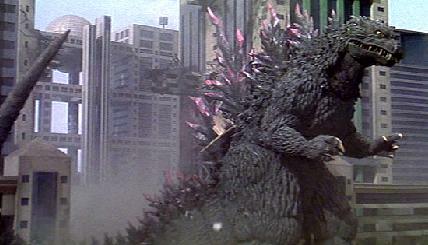 If you want to give the Godzilla franchise a try though, I’d check out GMK or Godzilla Against Mechagodzilla and Godzilla: Tokyo SOS before this one. Posted on September 4, 2011 1 By Jon D. B.	Kaiju Movie Reviews! Posted in Kaiju Movie Reviews!, Toho Movie Reviews! Pingback: Yuriko Hoshi, Toho Golden Era Leading Lady, Passes at 74 – SKREEONK!